For children who have severe and profound disabilities, like Jamie, music not only offers a unique channel of self-expression, it also enables them to share their thoughts and feelings with the people around them. Music is particularly important for children with complex needs. For some it may be their main way of accessing their cultural heritage. For others it may provide an important – perhaps the only – channel of communication. Through music therapy sessions, children with special needs, like Joseph, can learn how to interact with their environment and communicate with others. Specialist equipment enables profoundly disabled children not only to perform and compose but also to communicate through music. Increased time spent practicing has a positive impact on a child’s enthusiasm for music. 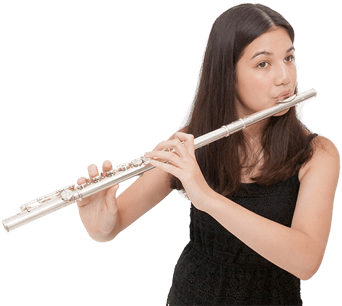 The sense of accomplishment gained through nurturing musical ability will increase a child’s self-confidence. Attending concerts facilitates inclusion, encourages mobility, and promotes social engagement. 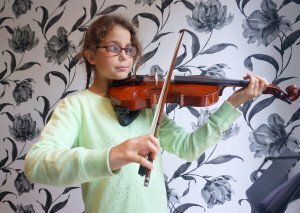 Increased proficiency in playing musical instruments will lead to increased opportunities for children to join bands, orchestras and to perform publicly, like Anna. Music software also increases the opportunity for sharing music with other children and young people online and through music groups. Simultaneously, and it affects the growth of a child’s brain in many ways. For children like Alexia, the active discipline of listening can promote greater attention span, social skills, emotional expressions, language development, and of course, a greater love of music.